A new measure has been taken to patch up the porous asylum program that has long been abused to gain entry into the United States. 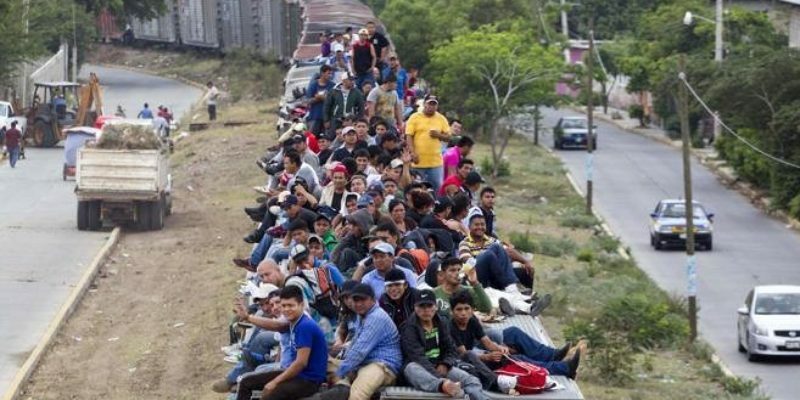 DOJ and DHS have issued a new asylum rule that will aim to swiftly deal with applicants unfit for asylum. “Acting Attorney General Matthew Whitaker and Department of Homeland Security Secretary Kirstjen Nielsen today announced an Interim Final Rule declaring that those aliens who contravene a presidential suspension or limitation on entry into the United States through the southern border with Mexico issued under section 212(f) or 215(a)(1) of the Immigration and Nationality Act (INA) will be rendered ineligible for asylum,” according to the Department of Justice. This effectively makes use of Executive authority over immigration practices. Immigration is one area of policy that the President has as close to complete authority over if he wishes to act. The President may restrict any aspect of entry into the country, or entry entirely, if it is thought to be in the interest of national security. A statement was released by the Acting Attorney General acknowledging this to be true. Thus, the new asylum rule is right within the President’s jurisdiction. It is worthy of speculation that this may be the first of such new restrictions the President is to instill. With a lose of the House, immigration legislation in line with the President’s agenda is off the table. The reality of at least two years of dealing with a stalemate in the House is upon Trump. When it comes to immigration, he has the ability to shut it down entirely if it was deemed to be in the interest of the nation. Such a substantial move may not be thought necessary, but minor moves trending in that direction have already begun.